Room 9 has been studying myths and legends. As part of this study, we have been learning about Pourquoi stories - or 'Why' stories. 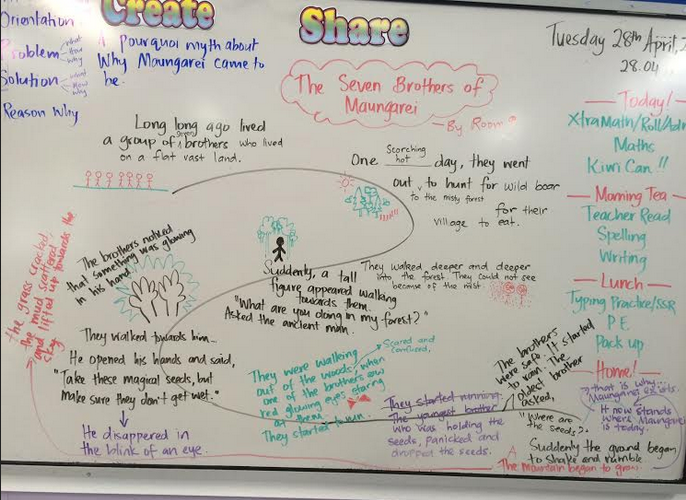 This is our class myth about why Maungarei (Mount Wellington) exists. We used a story map and TOPS to help us organise our story. Here is the final story! I like the way you said Ancient man that would be scary. I like the way you have done a lot of work and it sounds good keep it up. I like the story, you whit like 20 people whiting.